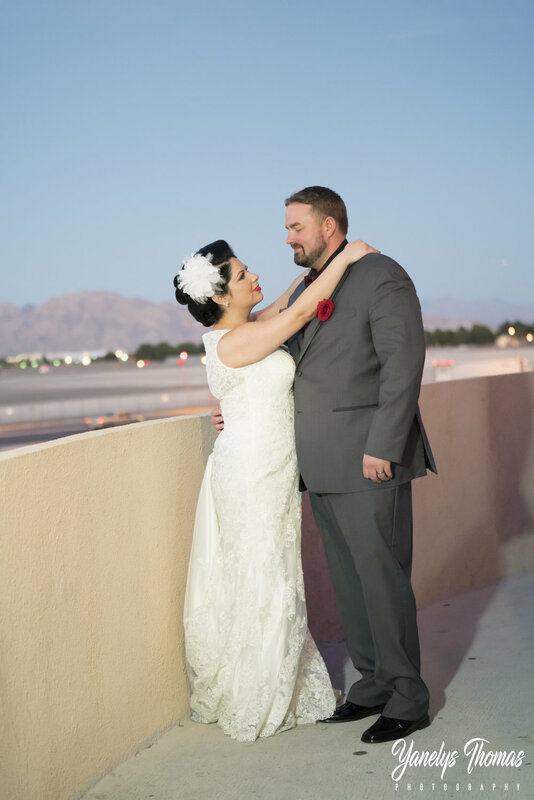 This beautiful couple chose Skyview as their wedding venue for their destination wedding in Las Vegas, They loved the location Skyview offers, is only 6 minutes away from the Las Vegas Strip and right across from the Airport. 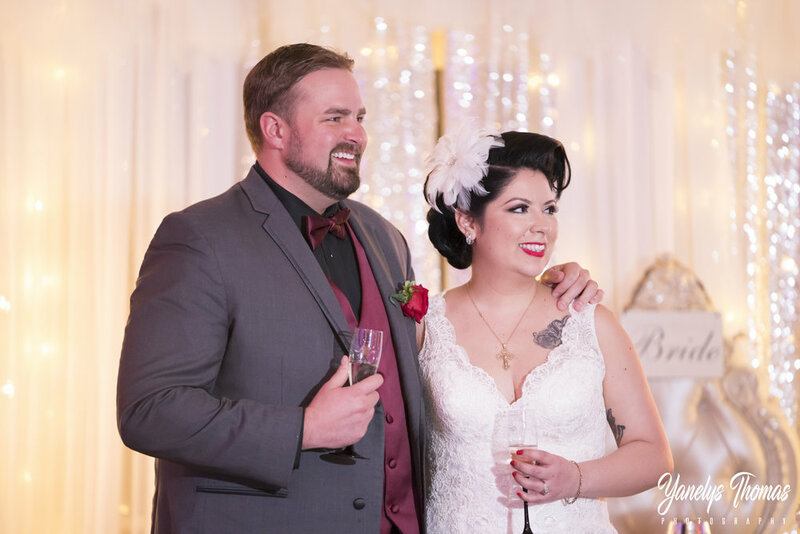 Even though the couple was out of state they still had full control over their wedding, they face-time with me and filled out an online questionnaire to design the wedding of their dreams. 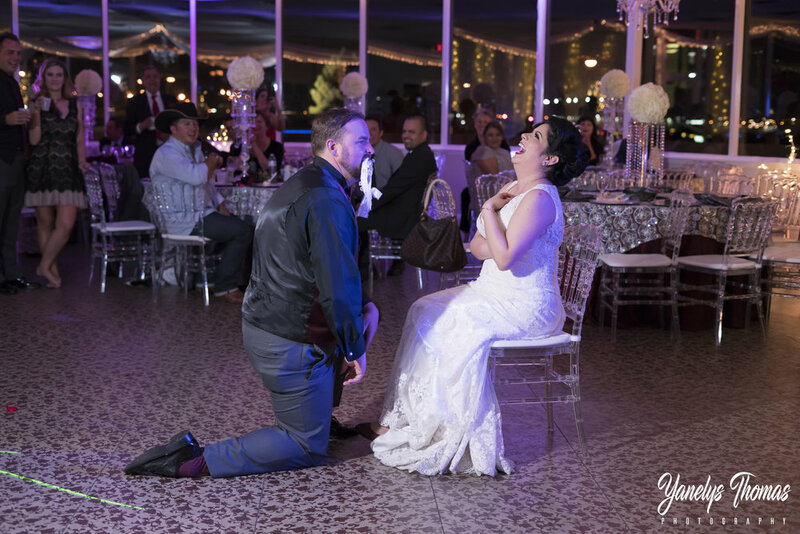 The Venue was beautifully decorated in silver and deep reds, The bride and grooms table was decorated with crystal accents and a romantic twinkle lights background, white drapes with sparkly lights adorned the entire glass venue and of course the gorgeous Strip view just gave it that perfect magical Las Vegas final touch. 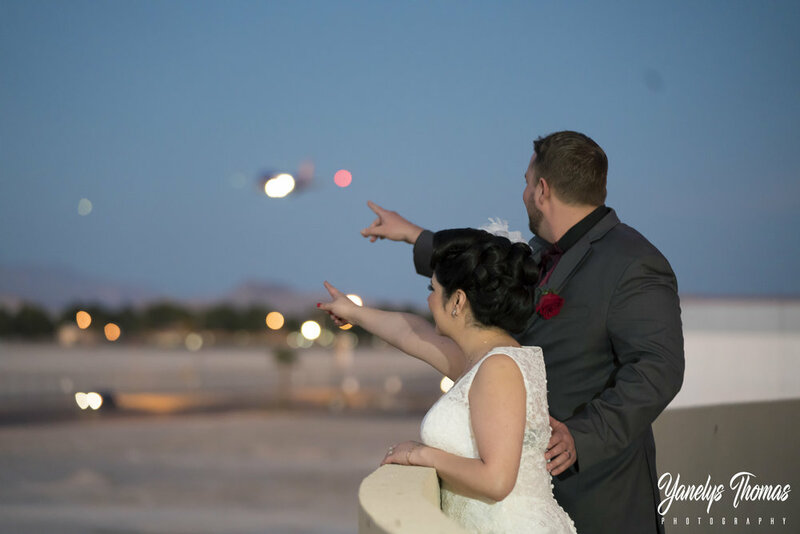 The Bride and Groom stepped out into our wrapped around balcony to enjoy the view and watch the planes go by. 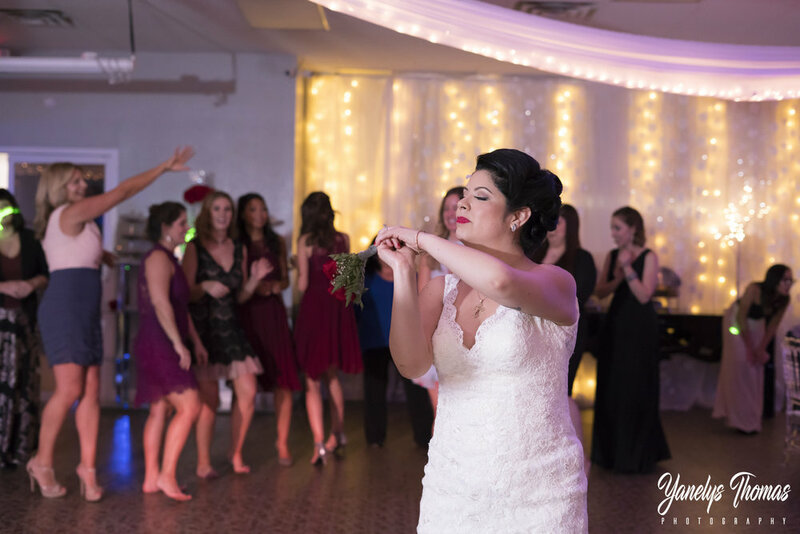 This wonderful couple had the perfect destination wedding and all these photos will always be a treasure of this night to remember.